On January 26, Barack Obama will become the first U.S. President to attend India’s Republic Day celebrations. It will also mark nearly 10 years since the first announcement on the India-U.S. civil nuclear agreement. In contrast to those heady days when the promise of nuclear power meeting India’s gargantuan energy needs was in the air, the present situation is bleak. A target of installing 63 Gigawatts of nuclear capacity by 2032 has been reduced to 27.5 Gigawatts and none of the landmark deals envisaged has been struck. The Civil Liability for Nuclear Damage (CLND) Act, 2010 which contains a speedy compensation mechanism for victims of a nuclear accident has been deemed responsible for this deadlock. Specifically, provisions on recourse liability on suppliers (Section 17(b)) and concurrent, potentially unlimited liability under other laws (Section 46) have been viewed as major obstacles in operationalising nuclear energy in India and bilateral relations with key supplier countries. Coordination in calibration relating to infrastructure, ingeneral, and the energy sector, in particular, between theUnion and the states is a major challenge that has to be faced by the government in the coming years. There is an enormous disconnect between the policies relating to generation and distribution and this can lead to the serious consequence of continued power disruptions even when adequate generation capacity is available. 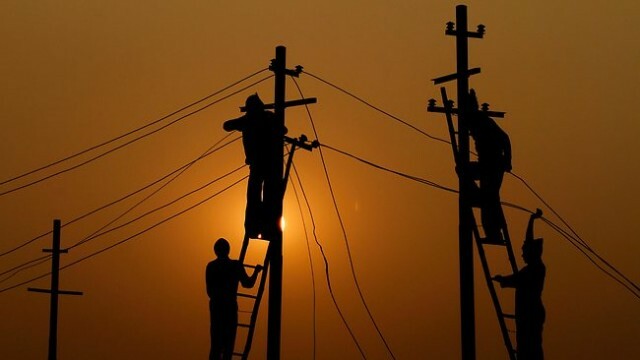 The reforms in the power sector, including the Revised Accelerated Power Development and Reform Programme (R-APDRP), have failed to address the issue of coordinating the reforms between the generation and distribution sectors and the issue is unlikely to be resolved even in the Integrated Power Development Scheme initiated in December 2014. The Narendra Modi-led National Democratic Alliance (NDA) government has made much of its claim that state governments stand to make windfall gains, upwards of Rs 2 lakh crore, from auction of coal blocks – more than the loss to the exchequer, as estimated by the Comptroller and Auditor General (CAG), because of random allocation of blocks by the previous government. Clearly, an auction will generate larger sums than the allocations did during the United Progressive Alliance (UPA) regime, when states got only the royalties. But the government’s claims over the auction proceeds do not seem to stand the test of a closer scrutiny. Villagers, mostly Bishnois, say there are many cases of cancer in the area. Exposure to radiation from the blasts is an obvious inference to make. Many, including children, have died of cancer. Women speak of high incidence of breast cancer. Children are showing development problems. Even cattle aren’t spared. Cows develop strange tumours and rashes. “The army jeeps, the fatigues, the big trucks—these things always fascinated Neeraj,” says Ashok Bishnoi, a school teacher, in Khetolai, the village nearest to Pokhran, Rajasthan, where India has conducted nuclear test explosions. He is speaking of an 11-year-old boy who succumbed to cancer on February 15. “He wanted to become a soldier,” says Neeraj’s father Ram Ratan. “He passed away within weeks of a brain tumour being detected at an Ahmedabad hospital. The closest hospital in Pokhran does not have lab facilities to detect that.” This is the third cancer death in the family: Ram Ratan lost his father to blood cancer in 2002 and his grandmother in 2006. In Khetolai, death from cancer has become a common occurrence; the connection to the nuclear tests is hard to miss. Neeraj is the fourth to have died in eight months. Nathuram, the village pradhan, says that, since the 1998 nuclear test, five-six villagers have died every year—all taken by cancer. It’s just 5 km from the Khetolai military range in Pokhran city. Located 80 km from the Jaisalmer district headquarters, in the forbidding Thar desert, the site was first used for Operation Smiling Buddha in 1974 and Operation Shakti in 1998 to test a series of nuclear weapons. Since then, it is used as an active military exercise and testing range. In its efforts to promote nuclear commerce with the United States, the Narendra Modi government has run into a dichotomy that lies at the heart of this industry. While multinational nuclear suppliers, such as G.E. and Westinghouse publicly insist that their products are extraordinarily safe, they are adamant that they will not accept any liability should an accident occur at one of their reactors. The joint announcement by Mr. Modi and U.S. President Barack Obama last month raised concerns that the government would move to effectively indemnify suppliers, contrary to the interests of potential victims. The list of “frequently asked questions” (FAQs) on nuclear liability released by the Ministry of External Affairs on February 8 confirms the suspicion that the Modi government is trying to reinterpret India’s liability law by executive fiat in order to protect nuclear vendors. The government has disingenuously suggested that it achieved the recent “breakthrough” by establishing an insurance pool to support suppliers. However, to focus on this arrangement is to miss the wood for the trees as even a cursory analysis of the economics of nuclear plants shows.